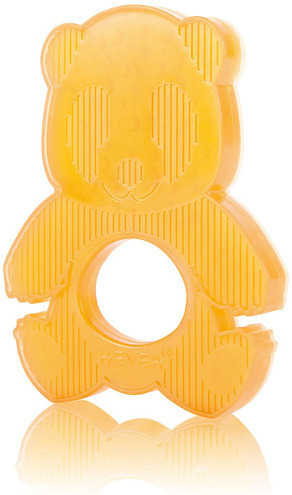 This Hevea Panda Natural Rubber Teether delivers a non-toxic, germ-free design that helps prevent harmful bacteria from building up inside of any cracks or joints of the teether. 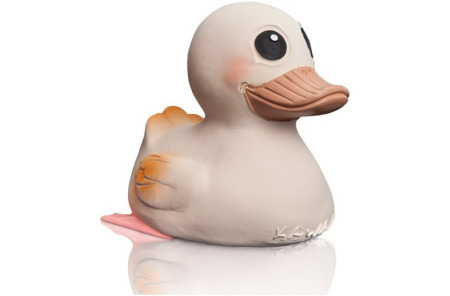 This adorable teether features a suitable texture and design to reduce teething discomfort. Gentle textured exterior for calming and rubbing inflamed gums. 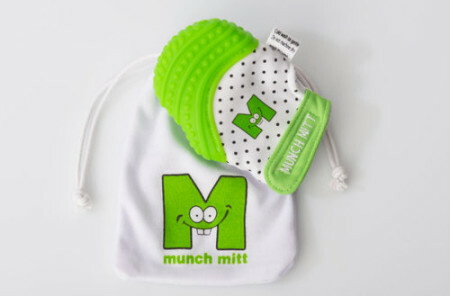 Composed of 100% all-natural rubber, this teether has absolutely no phthalates, colors, EVAtane, PVC, BPA, or silicone. Constructed of Environmentally friendly products and materials, this hygienic teether comes in product packaging that is made of recycled and biodegradable elements. The flexible rubber promotes your teething baby to gnaw; offering relief from soreness and pain.